More than 300,000 species of beetles are found in nearly every habitat on earth. While beetles are generally good guys in the garden, they aren’t exactly welcome when they take up residence in your house. 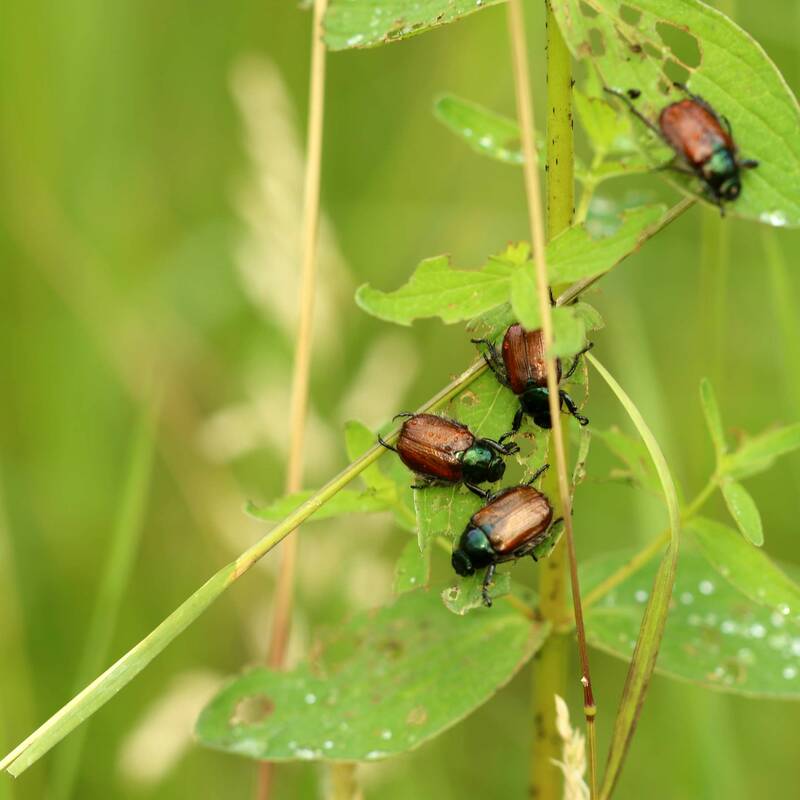 Some types of beetles are nuisances in the home year round, while others come indoors when the temperatures drops in late autumn. Keep in mind that although they are nuisances, they don’t bite or carry diseases. Depending on the species, beetles may be oval or rounded. Their shells may be black, bluish-green, gold, copper or red, either shiny or dull. All have chewing mouthparts and shell-like wings that meet in the middle of the back. Beetles that destroy wood, including your furniture. Beetles that invade your food supply. Beetles that infest fabric, including rugs, carpeting and upholstered furniture. Replace weather stripping. Caulk windows and cracks. Repair damaged window screens. Store dry food in airtight containers. Discard old, stale food. Keep pantries and kitchen shelves clean. Vacuum and dust regularly to control dust, cobwebs and lint. Trap beetles in your vacuum cleaner. Dispose of them immediately so they don’t crawl out. Use aerosol pesticides for hard-to-reach areas like cracks and crevices. Be sure the products are labeled for in-home use. Never spray bedding or clothing. Insecticidal dusts are useful for crawl spaces and attics. Use dusts with care, especially if anybody in your home has allergies or respiratory difficulties. 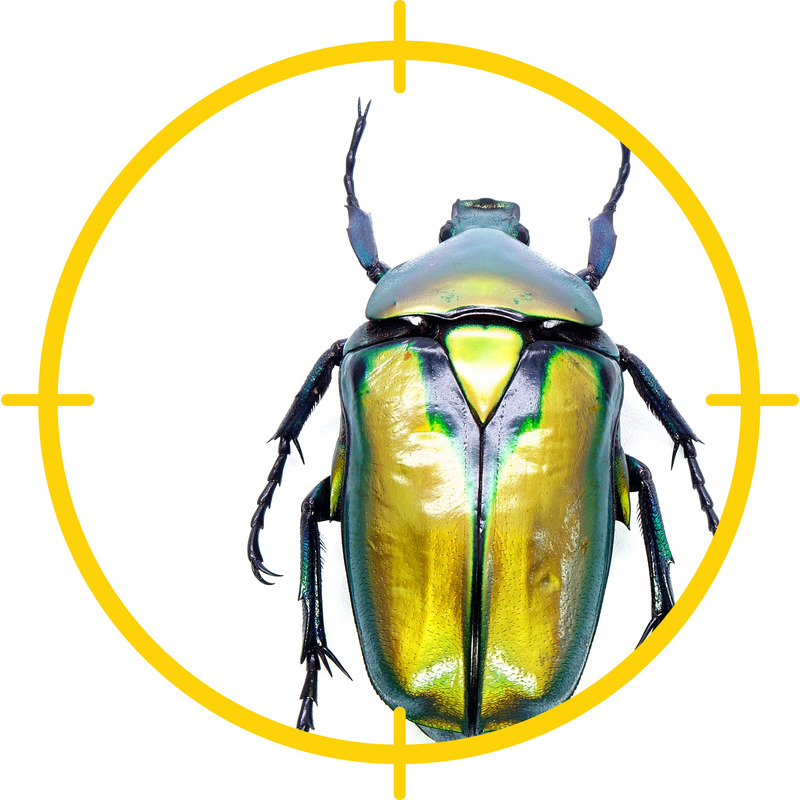 Apply a pesticide spray to the perimeter of your house in late fall to discourage beetles from entering. Sticky traps can help control beetles and can also indicate where the pests are getting into your house. Traps baited with pheromones may be effective for serious infestations.